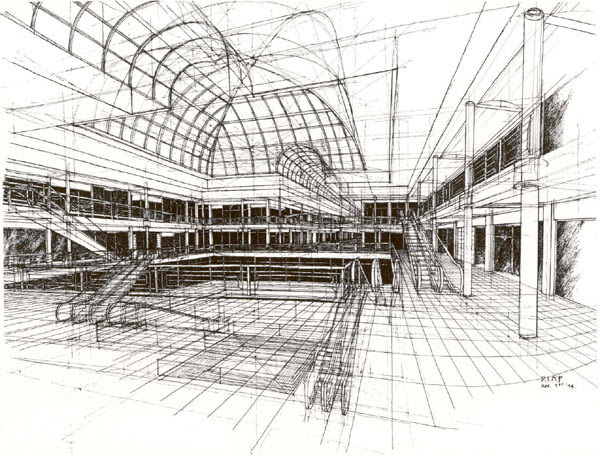 How does one design the first multistory power center of its time? Factors that influenced the design of Lenox Marketplace: revenue per square foot, efficient services, overlapping circulation systems, parking, tight site, high-end neighborhood, prestigious location. Lenox Marketplace is a multi-story retail center in the upscale Buckhead neighborhood of Atlanta, across from Phipps Plaza. The master plan includes retail and commercial uses and a design for phased development. Due to the lack of available land, DIAP arranged the buildings around a multi-story central garage, which allowed for larger building areas and increased frontage. Lenox Marketplace takes advantage of a transportation hub and builds on the economic synergy of the surrounding area. 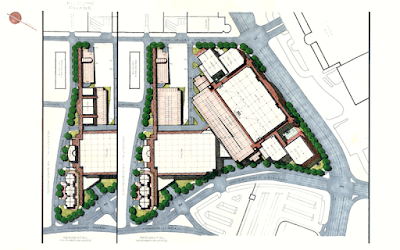 All space between buildings was utilized for plazas, patios, galleries, which created a unified circulation pattern. There are many big boxes, but they are integrated and augmented with interactive spaces. 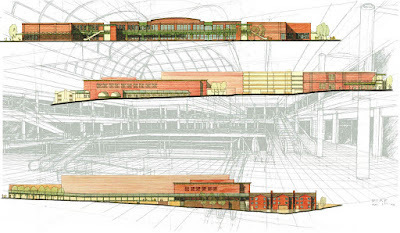 Lenox Marketplace is still a viable shopping center today.